Success for Red Bull Speed Jam! Earlier this year we launched our debut iOS game, NinjaTrials, a platform puzzler like nothing else on the App Store. It was well received, even featuring in Apple’s Hot New Games section, and the consensus from the public was “brilliant, but give us more”. 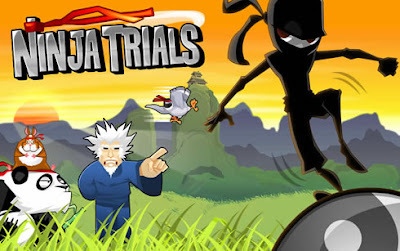 These new additions will hopefully confirm what a joyous game NinjaTrials is, an ethos that extends to the unique payment model. The game is now free, meaning you can play the whole game without spending a bean but after four levels something happens - something fundamental, surprising and rather magical. A small in-app purchase restores order to the game but for now we’re going to tease you as to what this is - why not try it yourself?